Take a journey into the mind of a musician. England’s Ligeti Quartet was looking for a way to better express the complexity of György Ligeti’s music, the group’s bread and butter. So the musicians equipped themselves with Mindwave headsets, which detect their EEG brainwaves, while also tracking meditation and attention levels. 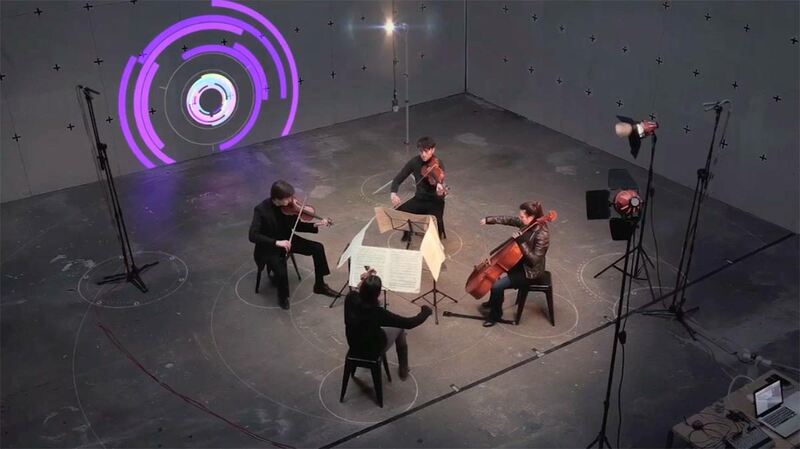 From there, the data was incorporated into visualizers for each musician and projected around them. The result is the creative expression of each musician’s brain function during the performance. Andrea Foresi, who led the team who designed the project, shared his thoughts on it in a recent interview: “In the end, the film is a great testament to the power of the collective creative mind and a reminder that all any creative wants to do is bring inspiring and original ideas to life.” Watch the film below.